Welcome to the Computer Vision Laboratory (CVL), part of the Department of Electrical engineer at Linköping University. 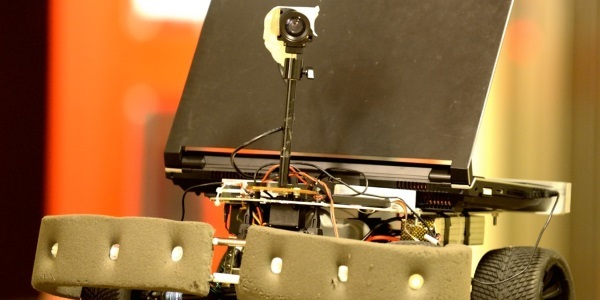 The research at CVL covers a wide range of topics within artificial visual systems (AVS): computational imaging, detection, tracking and recognition, geometry, robot vision and autonomous systems and medical imaging. The design of AVS has its roots in the modelling of the human visual system (HVS); an extremely challenging task that generations of researchers have attempted with limited success. Vision is a very natural capability and it is commonly accepted that about 80% of what we perceive is vision-based. Vision's highly intuitive nature makes it difficult for us to understand the myriad of problems associated with designing AVS, in contrast to sophisticated analytic tasks such as playing chess. Thus AVS became a widely underestimated scientific problem, maybe one of the most underestimated problems of the past decades. Many AI researchers believed that the real challenges were symbolic and analytic problems and visual perception was just a simple sub-problem, to be dealt with in a summer project, which obviously failed. The truth is that computers are better than humans at playing chess, but even a small child has better generic vision capabilities than any artificial system. CVL aims at improving AVS capabilities substantially, driven by an HVS-inspired approach, as AVS are supposed to coexist with - and therefore predict actions of - humans. Machines that learn to visually perceive their environment and to interact with it. Reconstruction of 3D points and motion trajectory of a vehicle moving in a traffic scenario. Recognition and localization of objects in images and videos. Modelling and correction of rolling shutter video. For more information on our research, see the publications and projects sections of the website. CVL also provides weekly seminars and teaching activities for undergraduate and graduate students, including the possibility for master students to be involved in state of the art research with their master thesis. The journal paper Trajectory Representation and Landmark Projection for Continuous-Time Structure from Motion by Hannes Ovrén and Per-Erik Forssén, was accepted for publication in the International Journal of Robotics Research (IJRR). New deadline Feb 3, apply through LiU vacancies. The journal paper "Fast Facial Expression Recognition using Local Binary Features and Shallow Neural Networks" by I. Gogić, M. Manhart, I. S. Pandžić, and J. Ahlberg was accepted to The Visual Computer (TVCJ). 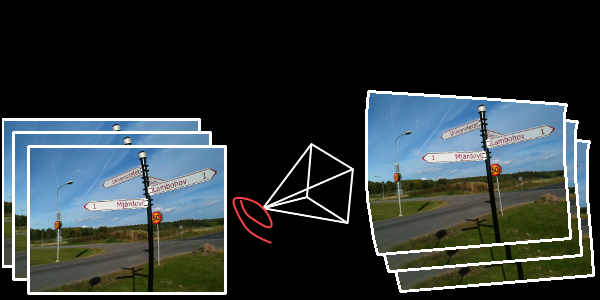 The journal paper "Learning Local Descriptors by Optimizing the Keypoint-Correspondence Criterion: Applications to Face Matching, Learning from Unlabeled Videos and 3D-Shape Retrieval" by N. Markuš, I. S. Pandžić, and J. Ahlberg was accepted to IEEE Transactions on Image Processing. Today Hannes Ovrén nailed his thesis Continuous Models for Cameras and Inertial Sensors. The public defense takes place on September 7, at 13.15, in lecture hall Ada Lovelace. Two ECCV papers, two BMVC papers, and one IROS paper have been accepted. More details to come! The journal paper "Simultaneous Sensing, Read-Out, and Classification on an Intensity-Ranking Image Sensor" by J. Ahlberg, A. ï¿½strï¿½m, and R. Forchheimer was accepted to a special issue of the International Journal of Circuit Theory and Applications. CVL is looking for a Postdoc. Deadline for the application is 28th of June. Applications must be sent through the central link above, direct applications are not possible. Today Martin Danelljan successfully defended his PhD thesis Learning Convolution Operators for Visual Tracking. Congratulations Martin! In the recent Vinnova AI report, the Computer Vision Laboratory and Michael Felsberg are highlighted for their collaboration with other organizations (p. 96) and researchers (p. 98). The paper Generating Visible Spectrum Images from Thermal Infrared by Amanda Berg, Jörgen Ahlberg and Michael Felsberg has been accepted at the Perception Beyond the Visual Spectrum 2018 CVPR	workshop. The paper Improved Learning in Convolutional Neural Networks with Shifted Exponential Linear Units (ShELUs) by Bertil Grelsson and Michael Felsberg has been accepted at ICPR 2018. The paper Density Adaptive Point Set Registration by Felix Järemo Lawin et al. has been accepted for ORAL presentation at CVPR 2018. The paper Spline Error Weighting for Robust Visual-Inertial Fusion by Hannes Ovrén and Per-Erik Forssén has been accepted for poster presentation at CVPR 2018. The journal paper "	Binary Patterns Encoded Convolutional Neural Networks for Texture Recognition and Remote Sensing Scene Classification" was accepted at ISPRS Journal of Photogrammetry and Remote Sensing. The journal paper "Beyond Eleven Color Names for Image Understanding" and "Scale coding bag of deep features for human attribute and action recognition" were accepted at Journal of Machine Vision and Applications. The journal paper "Approximative Coding Methods for Channel Representations" by K. Öfjäll and M. Felsberg (joint first authorship) was accepted at Journal of Mathematical Imaging and Vision. The journal paper "Effective evaluation of privacy protection techniques in visible and thermal imagery" by T. Nawaz, A. Berg, J. Ferryman, J. Ahlberg, and M. Felsberg was accepted at SPIE Journal of Electronic Imaging. The paper Attentional Masking for Pre-trained Deep Networks by Marcus Wallenberg and Per-Erik Forssén was accepted at the upcoming IROS 2017 conference. The journal paper "Herbivore grazing - or trampling? The trampling effects by a large ungulate in cold high-latitude ecosystems" by J. Heggenes, A. Odland, T. Chevalier, J. Ahlberg, A. Berg, H. Larsson and D. K. Bjerketvedt was accepted at Ecology and Evolution. Madeleine Stein received the "SSBA Industry prize" on the SSBA 2017 conference this year. The paper, "Image based mango fruit detection, localisation and yield estimation using multiple view geometry", is based on her master thesis done as part of her studies in the "Biomedical Engineering" program at LiTH. The paper BriefMatch: Dense binary feature matching for real-time optical flow estimation by Gabriel Eilertsen, Per-Erik Forssén and Jonas Unger, and the paper "Top-Down Deep Appearance Attention for Action Recognition" by Rao Anwer, Fahad Khan, Joost Van de Weijer, Jorma Laaksonen, were accepted at SCIA 2017. Michael Felsberg and Per-Erik Forssén are co-organizing the First Swedish Symposium on Deep Learning, SSDL 2017 which takes place in June, at KTH in Stockholm. Paper accepted at CVPR 2017! The paper "ECO: Efficient Convolution Operators for Tracking" by Martin Danelljan, Goutam Bhat, Fahad Khan, Michael Felsberg was accepted at CVPR 2017. Michael Felsberg will give a presentation at GTC 2017. Today Marcus Wallenberg successfully defended his PhD thesis Embodied Visual Object Recognition. Congratulations Marcus! Best paper award at ICPR 2016! For the paper "Deep Motion Features for Visual Tracking" by Susanna Gladh, Martin Danelljan, Fahad Khan, Michael Felsberg in the "Computer Vision and Robot Vision" track. The paper "Three-dimensional hyperspectral imaging technique" by Jï¿½rgen Ahlberg, David Bergstrï¿½m, Tomas Chevalier, Joakim Rydell, Martin Svensson and Ingmar Renhorn has been accepted for oral presentation at Algorithms and Technologies for Multispectral, Hyperspectral, and Ultraspectral Imagery XXIII at the SPIE Defense+Security Symposium 2017. The CVL depth decoding algorithm from ECCV'16 is now merged into the main libfreenect2 tree. Check it out if you want an extended range (up to 18.75m) or better performance outdoors. The journal paper "Optimizing object, atmosphere, and sensor parameters in thermal hyperspectral imagery" by Jï¿½rgen Ahlberg was accepted for publication in IEEE Transactions on Geoscience and Remote Sensing. The journal paper "Discriminative Scale Space Tracking" by Martin Danelljan, Gustav Hï¿½ger, Fahad Khan, Michael Felsberg of the VOT2014 winning DSST tracker was accepted at Transactions on Pattern Analysis and Machine Intelligence (TPAMI). The journal paper "Emlen funnel experiments revisited: methods update for studying compass orientation in songbirds" by Giuseppe Bianco, Mihaela Ilieva, Clas Veibï¿½ck, Kristoffer ï¿½fjï¿½ll, Alicja Gadomska, Gustaf Hendeby, Michael Felsberg, Fredrik Gustafsson and Susanne ï¿½kesson was accepted at Ecology and Evolution. Two papers accepted at ECCV 2016! The papers "Beyond Correlation Filters: Learning Continuous Convolution Operators for Visual Tracking" (oral presentation) by Martin Danelljan, Andreas Robinson, Fahad Khan, Michael Felsberg and Efficient Multi-Frequency Phase Unwrapping using Kernel Density Estimation by Felix Jï¿½remo Lawin, Per-Erik Forssén, Hannes Ovrén were accepted at ECCV 2016. Three papers accepted at ICPR 2016. The papers "Aligning the Dissimilar: A Probabilistic Method for Feature-Based Point Set Registration" by Martin Danelljan, Giulia Meneghetti, Fahad Khan, Michael Felsberg, "Deep Motion Features for Visual Tracking" by Susanna Gladh, Martin Danelljan, Fahad Khan, Michael Felsberg, and "Learning Local Descriptors by Optimizing the Keypoint-Correspondence Criterion" by Nenad Markus, Igor Pandzic and Jï¿½rgen Ahlberg were accepted at ICPR 2016 as oral presentations. The journal paper "Enhanced analysis of thermographic images for monitoring of district heat pipe networks" by Amanda Berg, Jï¿½rgen Ahlberg and Michael Felsberg was accepted for publication in Pattern Recognition Letters. The paper "Visual Autonomous Road Following by Symbiotic Online Learning" by Kristoffer Öfjäll, Michael Felsberg and Andreas Robinson, the paper "Evaluating visual ADAS components on the COnGRATS dataset" by Daniel Biedermann, Matthias Ochs and Rudolf Mester, and, the paper "Keypoint Trajectory Estimation Using Propagation Based Tracking" by Nolang Fanani and Rudolf Mester were accepted at the Intelligent Vehicles Symposium 2016. The paper "Propagation based tracking with uncertainty measurement in automotive application" by Nolang Fanani and Rudolf Mester was accepted at the Southwest Symposium on Image Analysis and Interpretation 2016. The paper "Improving Random Forests by correlation-enhancing projections and sample-based sparse discriminant selection" by Marcus Wallenberg and Per-Erik Forssén was accepted at CRV 2016. Two papers at CVPR 2016! The papers "Adaptive Decontamination of the Training Set: A Unified Formulation for Discriminative Visual Tracking" and "A Probabilistic Framework for Color-Based Point Set Registration" by Martin Danelljan et al. were accepted at CVPR 2016. Michael Felsberg, Norbert Krüger (Odense), and Anders Heyden (Lund) will organize the next International Conference on Computer Analysis of Images and Patterns, CAIP 2017. The paper Highly accurate attitude estimation via horizon detection has been accepted in the Journal of Field Robotics. 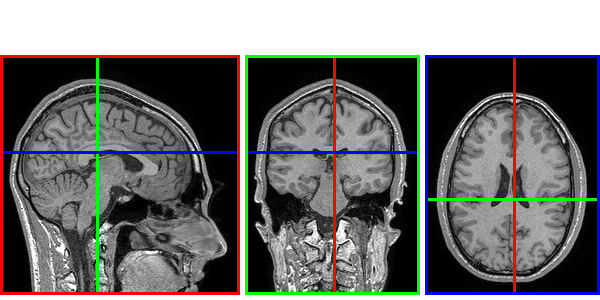 The paper Learning Spatially Regularized Correlation Filters for Visual Tracking has been accepted at ICCV 2015. The paper Recognizing Actions Through Action-Specific Person Detection has been accepted in IEEE transaction on Image processing (TIP). The paper Unbiased decoding of biologically motivated visual feature descriptors has been accepted for the speciality section on Vision Systems Theory, Tools and Applications. Winner of OpenCV Challenge in Tracking! CVL team wins the OpenCV State of the Art Vision Challenge in Tracking. Team members: Martin Danelljan, Gustav Hï¿½ger, Fahad Shahbaz Khan, Michael Felsberg. CVL is involved in the organization of the 3rd Visual Object Tracking Challenge VOT2015 to be held in conjunction with the ICCV 2015. In a collaboration with Termisk Systemteknik, a new dataset for benchmarking tracking algorithms in thermal IR sequences has been produced. The paper "A Thermal Object Tracking Benchmark" has been accepted at AVSS 2015. 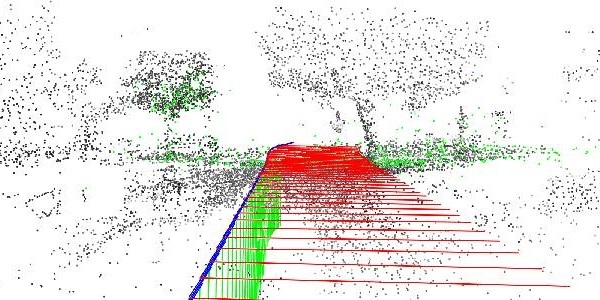 LiU will host the Wallenberg Autonomous Systems Program (WASP), see LiU News (the featured image shows a snapshot from CVL's AMUSE dataset). We have released a new dataset that contains wide-angle rolling shutter video (GoPro sports camera) with corresponding gyroscope measurements. 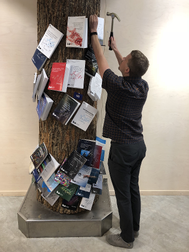 The thesis of Erik Ringaby from CVL has been selected as one of two Swedish theses for consideration of the the Best Nordic Thesis Prize 2013-2014. The winner will be announced at the SCIA 2015 conference in June. The paper: Gyroscope-based Video Stabilisation with Auto-Calibration, by Hannes Ovrén and Per-Erik Forssén, is featured in the ICRA 2015 promotional video. The paper will be presented at the ICRA 2015 conference in May. The paper: "Robust Stereo Visual Odometry from Monocular Techniques" by Mikael Persson et al. has been accepted at the 2015 IEEE Intelligent Vehicles Symposium (IV2015). The method (cv4x) has been ranked first on the KITTI odometry benchmark among vision based methods until 2015-03-30. Freddie Åström successfully defended his PhD today. The thesis is available for download here. 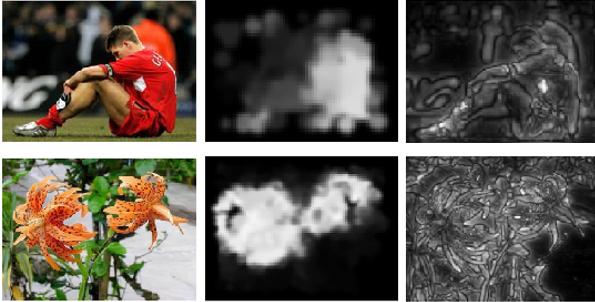 The papers submitted by first authors Giulia Meneghetti, Amanda Berg, Fahad Khan, and Martin Danelljan have been accepted at the Scandinavian Conference on Image Analysis (SCIA 2015), Copenhagen. CVL is participating in the EU project CENTAURO, to be launched in April, but already covered in public media.